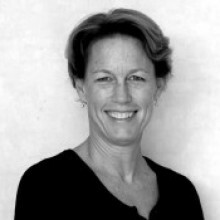 Becky Buell is Founder and Director of Meteos and specialist in strategy, innovation and cross-sector partnership development. She brings her expert facilitation and strategy skills to our work on climate change, healthcare, social enterprise and equity. She draws on her experience as Research Fellow in the Urban Studies and Planning Department at MIT, and over 15 years in senior management at Oxfam in Latin America and in Oxfam’s global Campaigns and Policy Division. She developed Oxfam’s work on the private sector’s role in poverty reduction, leading on several initiatives to analyse the “poverty footprint” of companies in developing countries. In an independent capacity, Becky has advised a number of NGO boards on organisational strategy. She is a Board member of Just Energy, a social enterprise supporting community-based renewable energy enterprise, and on the Board of the Foundation for Social Technology/Presencing Institute. She holds an MA in Latin American Studies from Stanford University and a post-graduate certificate in Urban Planning from University College of London.